In an underground bunker, sometime in the near future, little Melanie is strapped into her chair and wheeled down the hall to class with her beloved teacher Miss Justineau, even though little Melanie can walk just fine. Little Melanie has lots of questions about her world, big questions, poignant questions, like: why are all the adults so sad? What happened to the cities? And why do I get this funny feeling in my tummy when I smell human flesh? Spoiler: little Melanie is a zombie. Meta-spoiler: little Melanie is a zombie in the same way Twilight’s Edward Cullen is a vampire, meaning a zombie minus all the really troubling parts. Real talk: The Girl With All the Gifts has its strengths, but zombie fiction can be much more formally, emotionally, and intellectually ambitious than this. Colson Whitehead did it with Zone One (flawed but so, so smart), Manuel Gonzales did it with his short story “All of Me” (perfection), Kelly Link has done it repeatedly (there’s a reason her Twitter handle is @haszombiesinit), and though I haven’t read Bennett Sims’ A Questionable Shape, I hear it’s bitchin’. The premise is no excuse for an irising-in of readers’ expectations; if anything, it’s a lot to live up to. But it’s no fair just to compare a work of fiction to all its hotter siblings, so let’s get into the nitty gritty of what’s going on with this particular book. FIX #1: The entire novel should be in Melanie’s point of view. This may be a case where I prefer the movie to the book, because Carey has said in interviews that he did exactly this in the writing of the screenplay. It’s easy to see why. The opening chapters here are the strongest simply because of the friction between Melanie’s ignorance and the connections/assumptions the readers are starting to make. Hitchcock once famously said that suspense came not simply from the presence of a bomb under a table, but from the fact that the viewer knew the bomb was there while the characters did not. Writing from a kid’s eye view extends this type of suspense in all directions, since there’s so much we know that a child does not, and because we aren’t just concerned about the child’s physical safety, but also about their psychological safety. We anticipate and fear the realizations that will usher them, perhaps prematurely, into adulthood. And that gives the very process of worldbuilding a potency and heft. There are stakes in the character learning the facts of where they are and how things work. There are consequences to info-dumping. Every bit of exposition chips away at the child’s innocence; every reaction reveals a little more about the person they’ll be in the end. 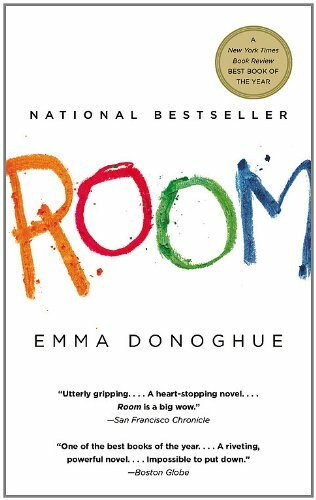 I thought a lot about Room by Emma Donoghue while reading the early parts of TGWATG. Like Melanie in her zombie research bunker, Room’s Jack lives in a windowless cell, the only home he’s ever known. Like Melanie, Jack worships an emotionally damaged maternal figure. Like Melanie, Jack tells himself stories about his situation – Melanie compares her life to ancient myth, while Jack turns more to fairy tales. But you get the idea. Both kids are precocious, but neither one has any idea what kind of a story they’re really in. Yet, as soon as we shift into the revolving third persons that make up the rest of the novel, the choice to call zombies “hungries” seems mad twee, and the doling out of exposition seems obligatory, boring, obvious, and low-stakes. Every other character in the novel is a “type” we’ve seen before, playing the role they usually do in this genre: the grizzled sergeant, the fledgling foot soldier, the mad scientist, the walking paradigm of survival guilt (more on those last two in a bit). So my prescription is: all Melanie, all the time, preferably in first person. But I also have a second, more minor problem with her POV, which is Carey’s choice to make her, randomly, a super genius. I guess this is so she can bring about some important events in the third act, which I won’t bother spoiling here. But I don’t think this was necessary, since ultimately, Melanie doesn’t put any pieces together that the non-genius reader isn’t amply capable of assembling, and before that late point, she actually seems pretty slow on the uptake about – well, everything. She’s trusting and gullible, honest to a fault, and never manipulates anyone. Her preternatural intelligence just dilutes the power of her naiveté, and it doesn’t provide Carey with any narrative tools that he goes on to use. FIX #2: Melanie should eat someone we care about. I call this the “Hunger Games problem.” In book one of The Hunger Games (I can’t speak to the others since I haven’t read them), Katniss Everdeen goes to murder camp. We as readers are told that, to survive murder camp, she will have to kill other campers, whether she wants to or not. It’s a potentially powerful metaphor, suggesting that the cruelest systems are the ones that make you complicit, the ones you can’t escape without blood on your hands. And yet, Katniss manages to get to the end of the entire novel without ever killing anyone the novel has depicted as remotely three-dimensional, human, or worth saving. The one time she does dispatch someone (by dropping a wasp’s nest on her head), she’s not only defending herself but also a little sister surrogate, the tiny and helpless Rue. The system corrupts, but it doesn’t corrupt Katniss. In the end, she remains morally superior to everyone else who’s ever won The Hunger Games, except maybe her co-winner and crush. Plus she looks like Jennifer Lawrence. No regrets, man. Maybe she is superior to us mortals. In The Hungry Games, Melanie is also unwillingly complicit in a fucked-up system, although in her case that system is biological – Melanie is a zombie. Again, it’s a potentially powerful metaphor, suggesting the greatest horrors are the ones that come from within, the ones you can’t escape without blood on your mouth from involuntary cannibalism. Yet Melanie, like Katniss, manages to get to the end of the entire novel without ever killing anyone the novel has depicted as remotely three-dimensional, human, or worth saving. The one time she kills, she’s not only defending herself but also her beloved teacher. She has superhuman self-control… or would that be super-inhuman? Anyway. The system corrupts, but it doesn’t corrupt Melanie. In the end, she remains morally superior to all the other zombies, plus she’s a genius, as stated above. No regrets. Like, she’s adorable, but it’s too late, because there are muscle fibers stuck in her teeth and now Sergeant Parks is dead, and oh whoops, now he’s actually un-dead, and they both have to “live” with this, although “live” isn’t really the appropriate term here, and actually Miss Justineau has to shoot him in the head. While crying. FIX #3: Combine the characters of Miss Justineau and Dr. Caldwell. But wait a second. Miss Justineau also works at the zombie research bunker. Wouldn’t it make more sense if her moral ambiguity came, not from a long-ago, much-regretted mistake, but from an internal conflict right now, in the present action of the narrative? I know about as much about science as I do about football, but I’m going to go out on a limb here and guess that a lot of scientific discoveries have some unphotogenic, maybe even Frankensteinian origins. Animal testing, unprecedented side effects, psychological experiments gone wrong, failed surgical procedures… and these are issues that have come up in the course of normal human history. If we’re talking about halting or reversing a worldwide zombie outbreak with extremely limited resources, I’d put the chances of things getting ethically messy near 100%. To work toward a cure using any means necessary, a scientist would not have to be a monster who ignores that her subjects experience empathy, fear, and pleasure – in fact, a blind spot of such magnitude would hamper her ability to do her job. She would just have to believe in the utilitarian precept that, to make an omelette, you have to crack a few child-skulls. And believe it or not, she could actually change over the course of the story, coming to see Melanie (and by extension, other zombies like her) as precious individuals with moral worth in their own right. Imagine if Melanie loved and trusted her teacher, never imagining that the woman was actually a scientist studying and ultimately, preparing to dissect her. Talk about a bomb under the table… how awesome would that be?! Serious Abraham and Isaac territory right there. Instead, though, we get two separate characters, teacher and scientist, one good, one evil, neither totally plausible in their actions or impulses, both foils to a child zombie with the mind of a genius adult human being, who never does a single horrifying thing. I’ve talked pretty much exclusively about what didn’t work for me in this novel. The fact is, I ripped right through it and found the premise, ending, and main character original and captivating. But every time Carey introduced an exciting element, he only took it halfway. And for a book centering on the complete destruction of the human species, that seemed like a major missed opportunity.